Polish is a weekly exfoliating treatment that unites 22 of nature’s most powerful skin rejuvenating ingredients. Our unique powder formula activates upon contact with water and transforms into a creamy, pudding-like texture, ensuring each treatment is as fresh and potent as the next. Our in-house blend of organic botanical grains gently resurface, removing dead skin cells and build-up for improved skin tone and clarity. 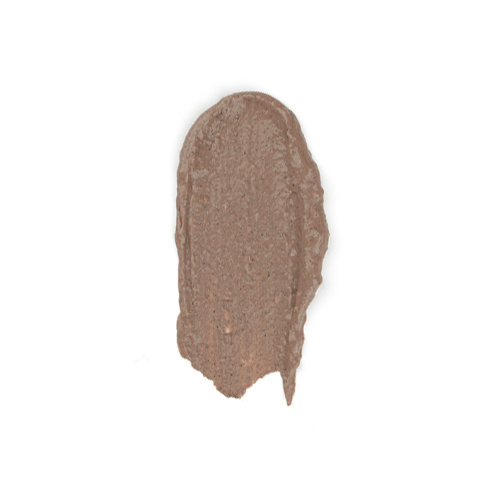 Mineral clays draw impurities from pores and enhance skin texture. This superfood skin treatment unites vitamin C rich fruit extracts, time-honored calming herbs and detoxifying clays, revealing smooth, even-toned skin with just one use. Pro-Tip: Polish is a 100% concentrated powder formula that is water-free, eliminating the need for synthetic fillers and harsh preservatives. This allows you to customize your treatment depending on your skin needs. Polish can be mixed into a cleanser, or mixed with oil to create a moisturizing exfoliation treatment. Consistent, weekly exfoliation is key in maintaining smooth skin texture and maximizing efficacy of topical leave-on treatments. A centuries old beauty secret of the Japanese Geishas. Micro grains work to gently exfoliate, unveiling porcelain smooth skin. Renown for its brightening ability, active compound Glabridin inhibits enzymes responsible for hyper-pigmentation, minimizing dark spots and uneven skin tone. Stimulates youthful circulation and absorbs surface build-up and pore congestion. Known as the “Botox” plant, this natural source of Alpha-Hydroxy Acid (AHA) promotes cell renewal, removes dead skin cells, and improves elasticity. Anti-inflammatory flavonoids protect skin from hyaluronic acid degradation, increasing moisture retention and strengthening dermis. Mineral rich clays are unrefined and sun-dried. Roots + herbs + flowers are sourced from certified organic farms. 22 active ingredients are hand blended in synergistic quantities proprietary to Root Science. Tried and tested by real people to ensure maximum skin enhancing benefits. Nutrients activate with just a few drops of water. Powder transforms into velvet paste infused with micro grains. Senses awaken to notes of sultry rose, sweet hibiscus and crisp citrus as skin reflects the morning glow. Orange peel is used in traditional Chinese medicine and its earliest known documentation was in China’s first pharmacopeia. 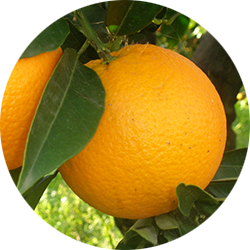 The orange peel, contrary to assumption, contains considerably more enzymes, flavonoids, and phyto-nutrients than the fruit itself. Orange peel contains anti-inflammatory properties, which protect against free radical damage and premature aging. The anti-bacterial and antimicrobial properties in orange peel aid in the prevention of skin ailments such as acne. The high vitamin C content has copious skin enhancing properties and has been extensively studied for its anti-aging efficacy. I have crazy sensitive skin and what seems like new ingredient allergies every year, so I admit I was a little afraid to try this scrub at first…the texture just didn’t feel like it would be gentle enough. Turns out it’s a new favorite! Beyond very, very minor redness that I get with any exfoliation, it doesn’t irritate my skin at all, and it makes my skin feel so smooth. Definitely worth trying for those with sensitive skin! AN AMAZING PRODUCT!!! Root Science fails to disappoint yet again. I am severely acne prone and my face is perpetually dotted in blemishes. This exfoliant clears up my skin INSTANTLY. It’s now my go-to routine every night/morning before a big event. A LIFESAVER! I noticed an immediate difference when I washed Polish off after exfoliating. My skin felt softer, and after the second time I used it, any breakout I had got smaller. Polish was something my skin definitely needed in its care routine. First, I’m in utter shock that I have not tried Root Science until now. Where have you been hiding? I feel like I just stumbled upon a hidden gem that I secretly don’t want anyone to know about in fear of them blowing up and changing. Every product is stunning, effective and worth every penny! Absolutely loving everything about Root Science. Very knowledgeable and passionate about safe and clean products. Lovely and personal down to the packaging. So far, I am LOVING this product. My pores have become smaller and cleaner, almost unnoticeable. Polish is not harsh or scratchy on my skin and does not leave my face red. Face feels instantly smoother. Also, loving BARE serum. Can’t wait to try their new toner and a mask! OMG!!! I am one of those never left a review my entire life type of people, but after trying countless number of skincare products I would be a terrible person not to acknowledge the impact Root Science has made not only on my skin but in my self-confidence. I have always been super conscious of my skin, from having severe hormonal breakouts to major redness and acne spots. As somehow that’s not really crazy about makeup, I have always searched for the ideal skincare products to repair and prevent damage on my skin. 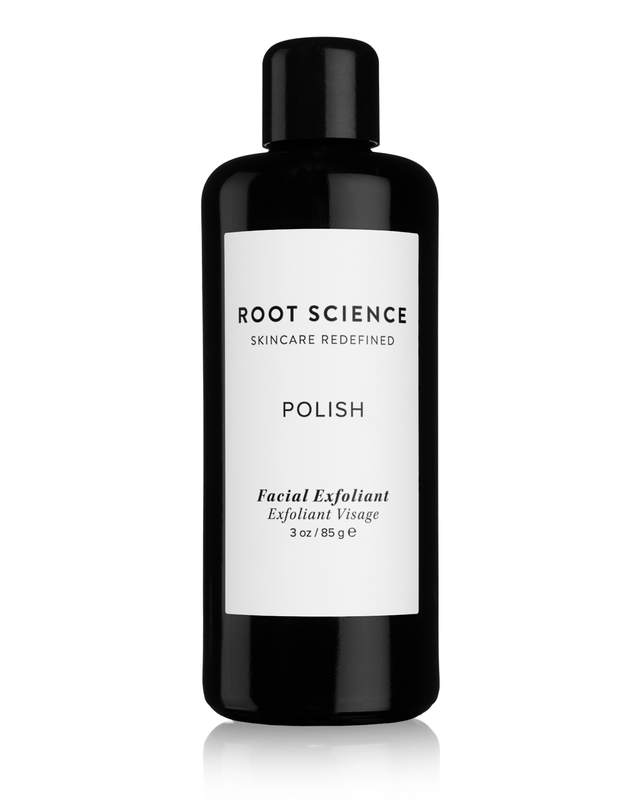 I strongly believe that Root Science, would give my skin another shot at life. Although, I have been using their products for a week I have seen a substantial difference in the overall appearance of my skin to the existent that I am glad to see my face in the morning. I ordered a gift box with my order just for fun sake and they made a mistake which was quickly fixed and I got a bunch load of samples. I CAN HONESTLY SAY, I HAVE FOUND MY HOLY GRAIL FOR MY SKIN!! I am so excited to continue using this products for a better skin future, YAYYY!! So I am a student and I am ready to pick up an extra shift a week to afford this for life. Just dropping by to say how much I enjoy using your products! My skin has never been smoother, softer or calmer. This stuff is potent but super gentle! Will definitely be repurchasing once I run out. Cheers! I’m so impressed by how effective yet completely natural this entire line is. Polish has been one of the stand out products for me and love that I can customize the powder formula, adding more water for a gentle exfoliation or less for a more potent treatment. Per Gigja’s recommendation for my very dry skin, I’ve been adding a pump of Youth serum to the mix for added moisture and my skin is baby soft. Thanks for the wonderful customer support and products! Seriously the yummiest smelling exfoliant, I’m almost tempted to want to eat it! Does an amazing job of removing flaky skin and leaves my skin looking like brand new! Simply a lovely product. I’ll definitely repurchase! I love the minty scent and my skin feels amazing after each use! I actually get excited to exfoliate my skin now, that’s how much I love your scrub! Thank you for making such a beautiful product! Love that this is a dry formula and I can mix with a variety of wet ingredients. My favorite is blending this with yogurt! Skin looks and feels amazing! I’ve been using your face scrub for the last 2 months and my skin has really transformed! No more clogged pores and flakey skin! It’s very soothing and the gentle exfoliation leaves my skin feeling brand new! Per your recommendation, once a week I add a few drops of the the pure balance serum to the scrub. This is something I look forward to as it’s such a treat for my skin! Gigja, you went above and beyond to walk me through the products and have been so wonderful to respond to me so quickly! Thank you so much for everything! You have a customer for life! Absolutely the best scrub I’ve come across in a long time. Cleans my pores very well but does not dry out my skin like most of the other scrubs out there. My skin feels and looks better than it has in a long time! Love that this line is organic and actually works! My absolute favorite! This scrub is so gentle. I love exfoliating but most exfoliants are so harsh and leave my skin feeling like it’s going to fall off. This scrub brightens and softens my skin. It feels like baby skin after I use this. I use bare defense right after and let it soak into my skin. AMAZING! I’ve been getting compliments on how good my skin looks ever since I started using root science products. Definitely a staple. This scrub is unlike any other facial scrub i’ve come across!!! I always thought a scrub had to feel really harsh on your skin, even if the bottle did say gentle. Sounds weird right? Living in New England definitely makes your skin really dry in the winter and no scrub has helped. When I found the RS Youth Serum that has helped my skin tremendously especially with dryness but I still had some patches here and there. That is expected here because your going from a dry hot house to the freezing cold to a dry hot car to the freezing cold and the cycle repeats itself! But then came this scrub!!!!! I love the way it feels on my skin, its not harsh AT ALL! I use it once a day and the smell is dreamy from all the natural ingredients. I started using the scrub for a week now and I’m telling you in combination with my RS Youth Serum–its to die! The best part about this scrub is that it doesn’t feel like a scrub at all and it even takes off my makeup which is great. Your skin is so soft when you get out of the shower and I haven’t experienced any dry spots on my skin since I started using it. It’s been a pretty cold week here in New England too so I am a very happy girl that I found this company! !